My dad makes the best matcha lattes every morning. He makes them gorgeously frothy and always tops them with yummy cinnamon. 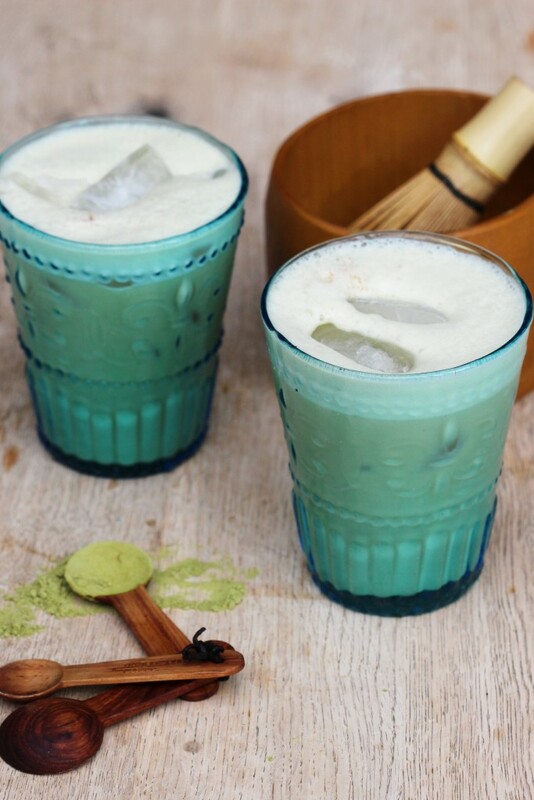 Matcha is amazing for you, it’s full of antioxidants and gives a super energy boost so it makes the best alternative to coffee. It’s also naturally sweet so it tastes like such a treat. Now that the days are warmer I’ve been craving them iced rather than hot so this is how I make mine. The vanilla powder tastes incredible and makes it taste so sweet without adding any sweetener, but add in a teaspoon of honey or maple syrup if you like. Boil your kettle and then leave it to rest for a few minutes, you want it just below boiling. Add the matcha to a small bowl and pour in 20ml of the hot water (not a typo- it’s supposed to be a very small amount of water, just more than a tablespoon!). If you have a matcha brush, brush it until smooth and all the lumps are gone, if not just use a whisk. 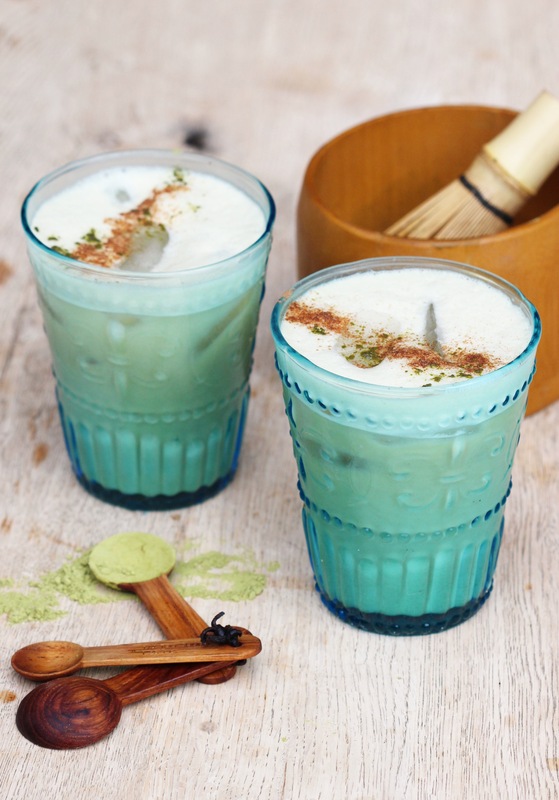 Pour the matcha water into your blender with the cold almond milk, vanilla powder and if using, honey and a little cinnamon. Blend on high until frothy. Pour into your glass and top with ice.